Contigo are one of the biggest names in water bottles and travel mugs, and it's not hard to see why. Every Contigo product is designed specifically to compliment an on-the-go lifestyle. As a result, their designs are bold and innovative, ensuring that you can enjoy your favourite drink wherever you are with maximum ease. 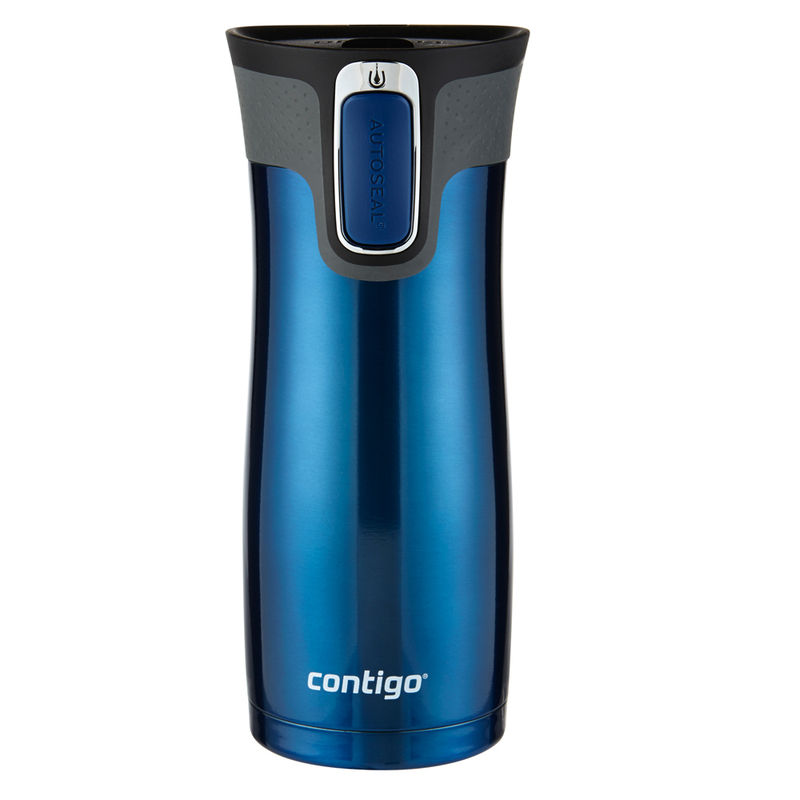 Secure yourself a stunning new travel mug with Contigo's Westloop Autoseal Travel Mug. Crafted from stainless steel and durable plastic, this travel mug features vacuum insulation, keeping drinks hot for five hours and cold for up to twelve hours. It's equipped with Autoseal technology that’s 100% leak and spill proof, sealing in between sips. Simply press down on the button to sip and release it to seal your bottle. Body is crafted from durable stainless steel. Lid is crafted from BPA-free plastic. Keeps drinks hot for five hours and cold for up to twelve hours. Press down on the button to take a sip and release the button to seal the bottle back up. Includes a lock for added peace of mind. 100% leak and spill proof. Lid completely opens up for an easy clean. Lid is top rack dishwasher safe. Hand wash only for the stainless steel body.